Liv is excited to receive an art scholarship to prestigious Wickham Hall because it gives her a way out of the foster care system. 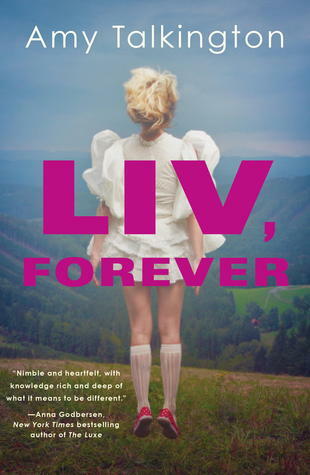 A perpetual outsider, Liv is unimpressed by the school's tradition of pranks on the new students and the exclusive and secretive Victors society. But she does like class president Malcolm (even though he is slated to be the next president of the Victors) and he, much to everyone's surprise, likes her. Liv's only other friend is fellow outsider Gabe who claims to see the ghosts of dead girls all over campus. During a late night date Liv and Malcolm are nearly caught out after curfew. They split up to get away from their pursuers but Liv is caught by an unknown attacker and murdered. As a ghost, Liv hears the classmates who looked down on her telling police how sad they are about her death and claiming that she committed suicide. Liv goes to see Gabe for help and together with Malcolm they begin investigating her death. Along the way, they discover that Liv is just the latest death in a conspiracy that has spanned the entire 150 years of the school's history. I was enjoying the mystery of this book and the twist of the main character being a ghost most of the way through. The ending diminished some of my enjoyment in the story, however. First of all, the conspiracy is something I've seen on Buffy, the Vampire Slayer so it was not original. But then again, are there many/any stories that haven't yet been told in some way or another? But I was also unhappy with the very, very end which seems pretty clear is leading to a sequel, and not just because I prefer books that are not part of a series. I can't say much about the ending without giving something away but I don't like the implied darkness therein.